Some three million new refugees from Iran may come to Turkey, Deputy Prime Minister Veysi Kaynak said Sunday during an interview. "According to the information we have received, there are around three million unauthorized migrants in Iran and they are trying to come to Turkey. Unfortunately they are mostly Afghans. They are again trying to come from the east of Iran," Kaynak said to CNN Türk. He added that a total of 30,000 refugees come in through the eastern Turkish provinces of Iğdır and Ağrı in 2016 alone. "We worry that the Iranian state is ignoring their migration toward Turkey, though not necessarily assisting them," he added. Kaynak explained that Turkey was in the process of building a border war in the east, as well as a reception center, both of which are to be completed in a few months. 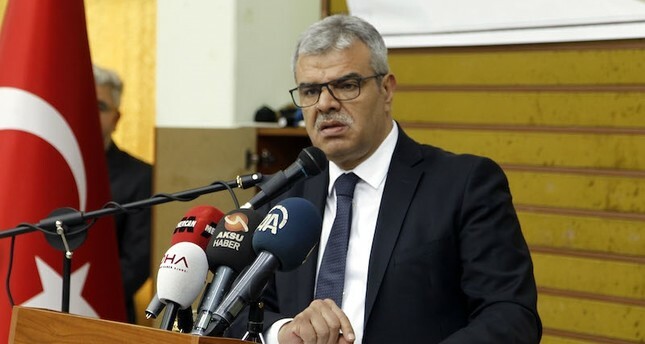 The deputy prime minister added that he had received information that some three thousand unauthorized migrants had already crossed into Turkey from Ağrı and Iğdır provinces since the beginning of 2017.